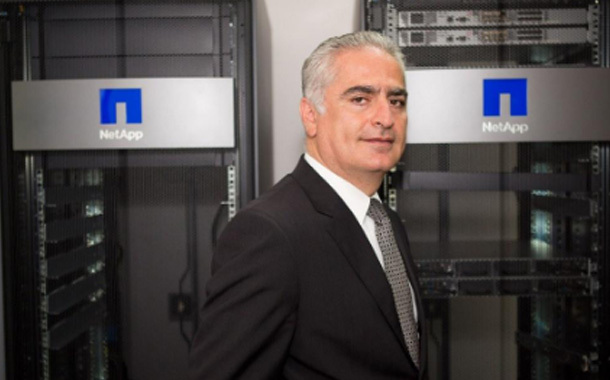 NetApp it will showcase Artificial Intelligence (AI) and cloud solutions during its participation at GITEX Technology Week 2018, truly in line with the exhibition’s theme ‘Experience Future Urbanism.’ As most businesses’ approach to data continues to play an important role in their success with AI, NetApp will showcase its award winning ONTAP® AI proven architecture, powered by NVIDIA DGX™ supercomputers and NetApp AFF A800 cloud-connected all-flash storage to simplify, accelerate, and scale the data pipeline across edge, core and cloud for deep learning deployments and to help customers achieve real business impact with AI. ONTAP AI is a joint NetApp and NVIDIA proven architecture offering that combines the world’s most powerful GPU solutions with the world’s fastest and most cloud-connected flash systems and software. NVIDIA will also be present at NetApp’s GITEX booth C6-20, located at Hall No 6 (Cloud Hall), at the Dubai World Trade Centre. Additional highlights featured at GITEX 2018 will include NetApp HCI, NetApp Cloud Volumes, and NetApp AFF (All Flash FAS). NetApp Cloud Volumes complement the public clouds with new protocols, advanced cloud data services and integration directly with both platform and compute services. It offers customers a fully-managed, cloud-native file storage service that is integrated with Google Cloud Platform (GCP) and Amazon Web Services (AWS). It also offers a powerful, cost-effective, and easy-to-use solution for enterprise Azure storage. Built on ONTAP® data management software, NetApp AFF accelerates, manages, and protects your business-critical data, facilitating an easy transition to flash for data centers. NetApp HCI is the world’s first enterprise-scale hyper converged infrastructure solution that provides compute, storage and networking in agile, scalable, easy to manage 4-node building blocks.